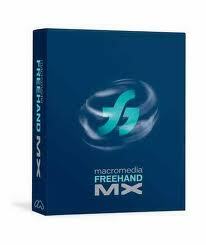 Macromedia FreeHand MX is the easy-to-use solution for concept and design of visually rich graphics for print and web. A powerful collection of illustration and drawing tools lets designers realize maximum creative vision, while extensive editing, layout and publishing functions provide an open, streamlined workflow for multi-publishing design. Flexible tools for organizing projects, adding interactivity, and publishing to SWF make FreeHand the best tool for developing layouts, click-throughs, and Macromedia Flash® content.